You’ve started having pain while walking around the yard and going down the stairs and you’re getting frustrated. You approach your physician about your pain and frustrations and an X-ray is ordered. Maybe this worries you; Is something wrong? Injured perhaps? Breaking down? 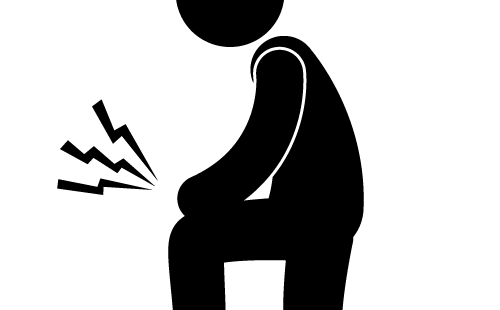 you wonder….You get a call back that tells you that you have moderate Osteoarthritis (OA) and “we can start with injections.” But your questions remain unanswered. Is something injured, breaking down? What is Osteoarthritis? Why am I being offered injections, will they fix the problem or mostly mask the symptoms? What about my pain, why do I have pain? Maybe this sounds too familiar….maybe it’s time to learn more…. Let’s start with why we think OA occurs, what we can do about it to decrease your pain and how we can work together to get you back to (a) doing what you love and (b) living the high quality of life we all want! Can we measure whether or not treatments actually work? 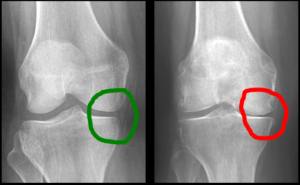 Arthritis is a broad category of over 100 conditions that originate with inflammation of joints leading to symptoms of stiffness, decreased function, and/or chronic pain.6 Osteoarthritis (OA), is a subset of Arthritis that is classified by bone and cartilage “wear and tear” (degeneration) which often leads to inflammation. It is the most common form of Arthritis and can be broken down into two classes: Primary which is highly correlated with age and Secondary, resulting from infection, joint injury, and hereditary, metabolic, developmental or neurologic disorders. Pain, stiffness, and decreased motion are common daily symptoms for people dealing with Osteoarthritis making it exceedingly difficult to complete everyday tasks such as going up and down stairs, walking or even standing for long periods of time. 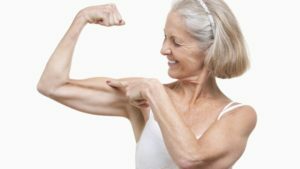 What actually works for Osteoarthritis? education of activity and lifestyle modification to meet your goals and decrease chronic pain. Looking for real solutions? Look no further! If you have been diagnosed with Osteoarthritis and have been left with unanswered questions, a local Physical Therapist is a great place to start. A Physical Therapist will evaluate you and provide you with real solutions to get you back on the right track! We have the right tools, not only to help with your symptoms, but get to the crux of the problem, the mobility, motor control, and strength limiters that need correction to get you back in the yard, out on the path, or back to work. Sarah K. Greenhagen, DPT, GCS earned her bachelors in Pre-Physical Therapy and her Doctorate of Physical Therapy from Northern Illinois University. She is a Board Certified Physical Therapist as a Geriatric Specialist. Sarah treats patients in a variety of settings and has developed the Total Joint Replacement Outcomes Measurement Program to bridge the disparity between prior level of function and post-surgical level of function. She also advises clients as a health coach for Pre-Diabetes/Diabetes and Pre-Hypertension/Hypertension Health and Wellness programs. She is deeply interested in community and population health and leads community seminars on Balance and Falls. Treating patients dealing with chronic illness and pain are her passion and she believes in the power of hope and determination. She enjoys consulting on community projects to promote health and wellness and is available to talk about ongoing community programs or new ideas to increase Health Literacy. 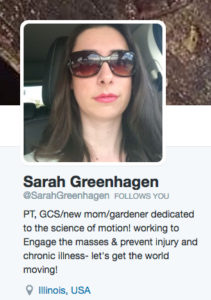 Connect with Sarah at skgreenhagen@gmail.com or @sarahgreenhagen on Twitter . Curtis, C., Goldberg, A., Kleim, J., and Wolf, S. Translating Genomic Advantages to Physical Therapist Practice: A Closer Look at the Nature and Nurture of Common Diseases.Phys Ther.2016;96:570-580. Burge, E., Monnin, D., Berchtold, A., and Allet, L.Cost-effectiveness of Physical Therapy Only and of Usual Care for Various Health Conditions: Systematic Review.Phys Ther.2016;96:774-786. Batool, F., et al.Clinical Effectiveness of Glucosamine and Chondroitin Sulphate in Treatment of Osteoarthritis.International Journal of Pharmaceutical Sciences and Research.2015;6(2):541-45. Hinman, R., et al. Physical Therapists, Telephone Coaches, and Patients with Knee Osteoarthitis: Qualitative Study About Working Together to Promote Exercise Adherence.Phys Ther.2016;96:479-493. Forrester, K., et al. Comparision of knee osteoarthritis treatment in the non-obese vs obese populations across different medical specialities.Osteoarthritis and Cartilage.2015;23:A202.